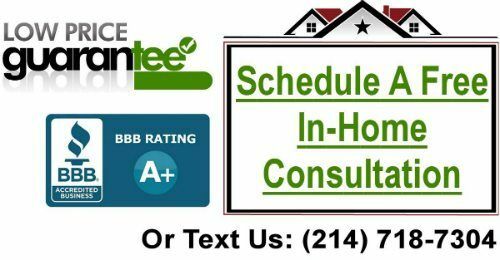 How Long Does It Take to Get Blinds Installed in the DFW Area? In the Dallas-Fort Worth area, the process of ordering and installing blinds can be smooth and easy. While the time frame will vary depending on the amount and type you choose to purchase, it should never take more than 3 weeks to get them in and installed – that’s the maximum amount of time to expect. Blinds are a worthwhile purchase for your home for several reasons, and at Starwood Distributors, we hope to convince you to install them as soon as possible. Blinds are by far the best window covering if you want the least amount of light leaking through. This could be for afternoon naps, or simply in the summertime when you want to keep the inside temperature of your home as low as possible. Blinds offer the tightest closure, which also serves the purpose of preventing air from leaking out of your windows – something you will greatly appreciate in the wintertime with the heat! Most importantly, blinds offer you the highest level of privacy in a window covering. You can close them with total assurance that you and your family will not be seen through them. On top of being protective of your children with the privacy aspect of blinds, there’s also an added level of safety with our patented mechanism for opening and closing blinds. 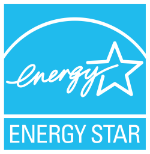 This will provide safety for children, especially your littlest ones, and your pets as well. The cords on standard blind sets cannot only cause injury to both children and pets, they’re also incredibly irritating to have to untangle all the time in order to use the blinds. With our mechanism, you have nothing like that to worry about. 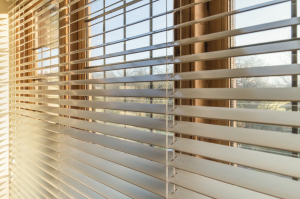 Not only do blinds provide a style that will match any home’s design theme, they are also incredibly durable, especially if you choose to go with wood. Each slat is dense and will resist any accidental pulling on them, so you don’t have to stress if you do so accidentally. They come in a variety of colors, and whether you go with a faux or true wood material, they will not discolor or show signs of wear. They will also always stay in place. At Starwood Distributors, we’re a company that specializes in window coverings, and we are certain you will love the blinds we provide. Our specialists offer free, in-home consultations where we design, measure, and install your dream window treatments. Schedule yours today at any one of our Texas locations. We are in: Dallas, McKinney, Frisco, Plano, Fort Worth, Austin, San Antonio and Houston.